The Arab media particularly the Egyptian film industry and music suppressed non-Arab culture indirectly, exercised a change of preferences and taste and contributed accidentally somehow to the Arabization process even in remote rural areas due to the ubiquity of TV and its popularity as a free time interest number one in oriental culture in general depending upon the dimension of people´s learnability. The formal Arabic register becoming the official, school language and everything else ranging from currency, names of state offices and the language of advertising. Books in and on Kurdish have been published in South Kurdistan in Sulaymania Sorani. 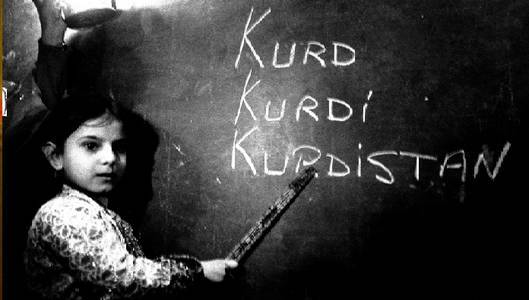 However, the lack of the necessary terminology particularly journalese and scientific language and its harmonization has forced Kurdish writers either to publish in Arabic or translate literally (loan translation) from Arabic although Arabic media and scientific terminology and register are heavily dependent on translations from English. Thus every writer uses her / his own terminology, sometimes adding transcribed English words in Arabic characters or simply writing them next to their translations to avoid misunderstanding. This makes reading such texts cumbersome, time-consuming and imprecise. Linguistic problems have always had fundamental psychological and identity implications particularly for children when exposed to social environments ridiculing their linguistic skills and looking down on their language and culture. Consequently children develop anxiety disorders without any psychological help which is practically non-existent in cultures lacking the awareness. Since the emergence of Islam and with it the Quranic Arabic as the holy language for all Muslims regardless of their ethnic origin, all oriental languages particularly those of stateless nations including the spoken varieties of Arabic have suffered greatly under its offspring the prestigious Arabic Fusha فصحى (pure, eloquent, fluent ..) a term which in itself is discriminatory, calling it affectionately the Dad Language i.e. the language of the emphatic /d/ sound as the unique selling point (the most salient feature). This Quranic Arabic is the precursor of Modern Standard Arabic (MSA), the language of Arab nation states and nationalism. Arabs have invested their Fusha with emblematic power degrading their own mother tongues (spoken languages) as inferior. There is no awareness that spoken languages are of the same value, beauty, that they might be even older than the standard language and that the standard language is nothing but a former dialect. Fusha is often explained with examples from the Quran as there is no awareness about diachronic development of language.